anyone can lead a meeting if they have a checklist. We also use checklists for monthly administration tasks, for quarterly administration tasks, for organizing our IRLs, one on ones, and so much more. In short: if we can make it a checklist, we will. I would categorize documentation into two: static and active. The Niteo Handbook is static documentation. We use it to explain how we work from a bird’s perspective. It still changes but changes are rare and usually only when there’s a significant change in our processes. 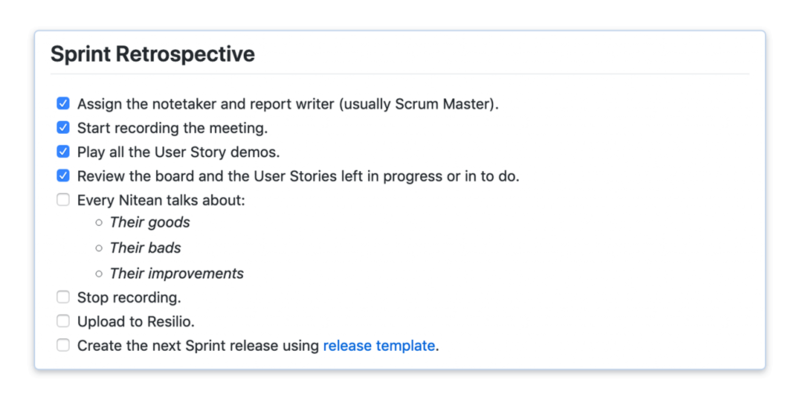 Our templates with checklists for User Stories, administration tasks and everything else are active documentation. They are used daily and as such change whenever we see a better way to do something. They give us the flexibility to change our workflows simply by changing our templates. When you create a template with a checklist, there is a lot less static documentation required. Instead of explaining or listing all of the required tasks in static documentation, all you need to do is create a template and adapt it whenever the need arises. 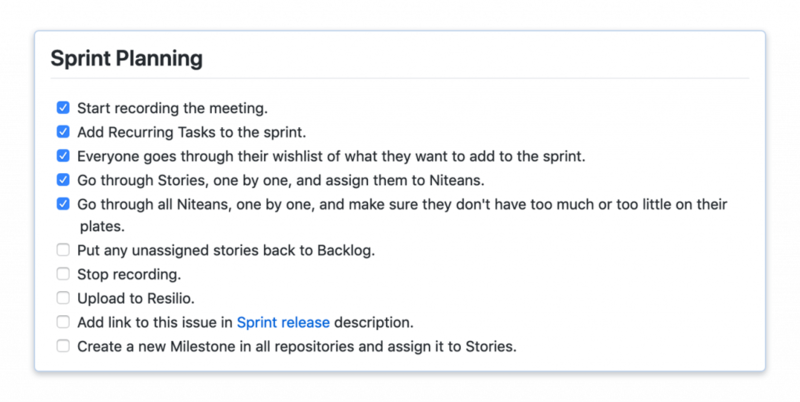 A few weeks ago we decided we wanted to move a section of our alignment meeting (where we discuss if we’re on track to reach our quarterly OKRs) to sprint retrospectives. All that was needed to do this process change was to cut and paste a section of the checklist to a different template. 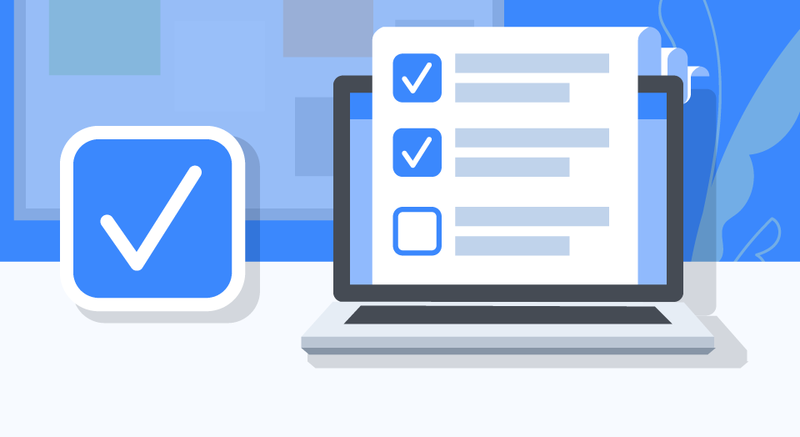 There’s a great book on the topic, The Checklist Manifesto by Atul Gawande that explains why checklists are a favorite among people doing complex jobs, like pilots and doctors. We more or less manage everything in our company with GitHub. It holds our Handbook, our code, project ideas, Scrum User Stories, bug reports, and anything else that needs to be written down.